When it comes to building your business, a question that pops up over and over again is how to generate new leads. And of course, there are a number of different tactics that you could implement, but what you really need is a carefully crafted marketing strategy, with a lead generation system to support it. 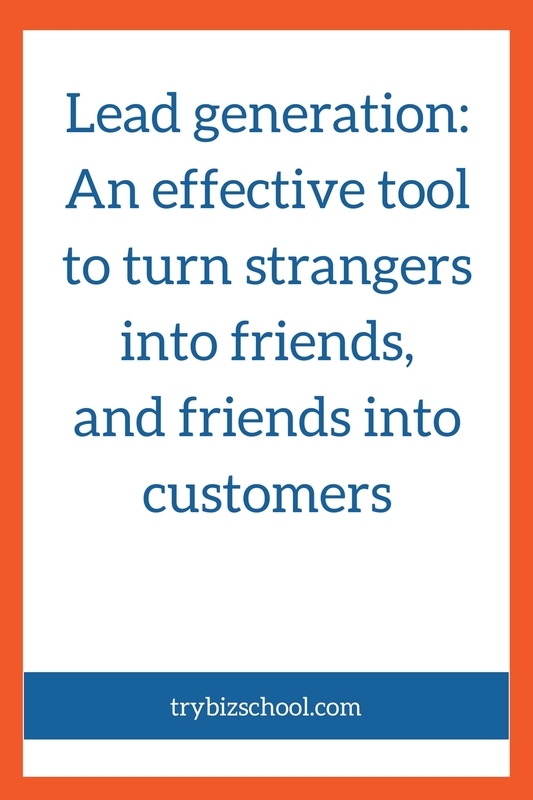 One that will consistently bring new customers into your business. So today, we’re going to do a deep dive into a very popular lead generation tool you can build into your marketing strategy: webinars. They can be a very powerful for you, but only if you know how to use them properly. That’s why I’ve invited Jon Schumacher, webinar specialist, and co-creator of the Webinar Mastery Summit to come and give us a crash course in how to generate leads with webinars. Here’s what you’ll pick up from the training. Watch the training here, or you can read through it with the transcript below. Hey Jon, thank you so much for joining me today, how are you? Doing well Sonia, appreciate you having me on for a quick chat about webinars. Yeah! Webinars are all the rage these days, and I honestly have to admit, I don’t know a ton about webinars, so I’m really eager to talk to you on this topic. So let’s get this baseline out of the way, what exactly is a webinar, for those who might not know. Right, right. So basically, a webinar is really an online seminar that’s done on the web, and you basically have your own virtual stage, your own virtual teaching space, where you get to literally, like I do in my home, I sit in my basketball shorts and talk to people all over the world. It’s a pretty neat scenario, where you don’t need to travel, you don’t need to leave your friends and family, you can actually have your own virtual teaching space from the comfort of your own home, and that’s in essence what a webinar is. Very cool, now is there a combination, some of them are paid, some of them are not, is there…you can do it however you want? Yeah, a webinar I like to say is just like a telephone. You can use it however you want. Some use it to teach and talk to people. Others use it to telemarket, to sell their products and services. Webinars generally speaking are usually free where people register, they’ll be educated. And for a specific type of webinar, like a sales webinar for instance, you would offer your products and services. I use webinars for group coaching sessions, I use them for straight teaching sessions, I use them of course to offer my services and my products, but they can really be used however you want. It’s really your tool to choose. Cool. So tell me a little bit about what webinars have done for you in your business. How have they impacted you? Well, they’ve been almost my entire existence online, really. I’ve done very little blogging, I’ve only recently got into that, so I never did the guest blogging thing even though that does work for building your audience and your tribe. It’s been mostly webinars, and me doing a lot of free webinars in the beginning. I did a lot of free interview-based webinars where I would interview other experts like we’re doing right now. And I’d actually promote it as a live webinar where we could talk to the audience. That’s kind of how I got started building my email database, and those types of things. So it’s been free webinars to my own group, and then free webinars or sales webinars to other people’s audiences as well too, that’s really been the key for me to build up a tribe and build that know, like, and trust, because you’ve visible, they get to hear you, and see you, they get to experience you. Webinars as a tool are one of the most effective online tools because they get to build that know, like, and trust. People get to experience you at a very visceral level. Right. That’s definitely a great benefit because we need to feel like we know the people that we’re going to be doing business with. You also mentioned list building, what are the other benefits of webinars as an overall marketing, as an element of a marketing strategy. You also mentioned list building, what are the other benefits of webinars as an overall marketing, as an element of a marketing strategy? Yeah, and you mentioned lead-generation of course, that’s a big one. A lot of people, that’s something that some might not, but it was actually voted the number one lead generation tool in the On24 Webinar Benchmark Report. So it’s really good at building your tribe, your list, your following. That’s a great use for it. Of course, sales conversion numbers are higher on a good well-done webinar campaign, than they would be on a sales page alone. So if you are selling a product, particularly anything over a couple hundred dollars, you’re going to have much better sales conversion rates on webinars, and a proper webinar follow-up than you would sending traffic to a sales page. And then finally, attention. Attention is the big thing. In the recent benchmark report, in 2016, people are still willing to give an average of 57 minutes of live time on a webinar. There are very few other vehicles where you can do that. And so, you have 57 minutes on average of people’s time and attention, where they get to experience you, build know, like, and trust with you. And that’s simply why they work, because people they buy from, they follow, they like people that they get to trust and they know. And I think that’s one of the powers, if you do webinars effectively, and you’re not just like a sales pitch the whole time, then you will build that trust, and people will give you their time. There’s no stats that show that people are giving less live time on a webinar than say even five years ago. I haven’t seen any drop off. If you have a good reputation, and you use them well, it’s a great tool for your group coaching, your education sessions, and your sales and offer sections. Definitely. Oh, I’m super intrigued by this. I guess the obvious question that people might ask, or maybe it’s just me and my question, how do you get people to sign-up, and actually attend your webinar? Is that the biggest initial hurdle you might have? And there is some of that when you don’t have an audience. So you need to build an audience. But as far as webinar traffic goes, I call them the three P’s of webinar traffic: personal traffic, your partner traffic, and there’s paid traffic. And those are the three big buckets I like to brand things into. Personal traffic is like your email list, it’s your number one online asset. It’s not just a list of numbers, but an actual list of people that care about you, and open your stuff, and that’s a little bit of a long game approach, which is the approach you should be taking with this anyway. And that’s your number one asset, that’s what drives most of my sign-ups, is that email list. I would say a distant second is your social media. Facebook groups, LinkedIn groups, these can be great sources for you, so if you haven’t started one yet, don’t just add people to them without asking them, I hate when people do that, but that is a good place to start building your tribe. Using your social media and your email database is a good place to start with, even if it’s small, your first webinar might be smaller, but you’ll have one under your belt and you can grow from there. The second one is partner traffic, and that’s like your joint venture, your promotional partnerships. And that’s really been the key for me, it’s what I did after I built a small audience, and I had my initial offer finished, I then took it to partners, people that I knew, and that’s really what helped accelerate my business. In fact, if you just find a good offer, and you host it to your little list or your little following first, and then you have good numbers, like good percentages, and you know people in the space that like you, then you can ramp up your business pretty quickly. I remember I had a very small following back in 2014, and did a few JV webinars and all of a sudden, there were five hundred more people on my database after one week’s time. So spend some of your time networking. Make a list of people who are in your industry t that you want to start building real relationships with, not just a ‘hey, would you promote my webinar’, like that’s not the first ask. But that is key, it’s the relationships. We’re all one partner away from the next level in your business, so partner traffic is a great resource. Even in the beginning, I had a student who took our program who had a small list, but had found somebody in her industry that didn’t do webinars, but had an email database. Well she added I think 230 people, which isn’t huge, but for a lot of newbies it’s a good amount, but 230 people on her first webinar, because she did a partner webinar. That’s something you can do in the beginning stages as well as in the intermediate and more advance stages. And then finally, paid traffic, like Facebook advertising, I would be careful with if you’re new, I’ve seen a lot of new people spend money and they don’t have a compelling webinar hook, they don’t really have a compelling or tested offer yet, and they don’t really understand how to put together an effective webinar funnel, and they throw a bunch of Facebook ad money into Facebook, and they just don’t get anything out of it. That would be one maybe I’d do after you’d tested it a bit and practiced. I’m speaking to a newbie on here. I’ve learned so much already, this is so valuable! Thank you Jon! So one of the things you mentioned, getting people on to your webinars, the three P’s, your personal connections, partners, and paid traffic. But the number one hurdle you said is generally technology, and I can attest to this, because after my virtual summit that I hosted, I tried to do a webinar to do a recap, and I, technology was not my friend that day. So can you talk a little bit about what technology is required to do a webinar effectively? And is this a big investment? How does this whole thing work? It’s not that expensive anymore, I mean, it used to be, to be able to do this stuff five years ago. There’s a variety of softwares at all different price points that you could get. Everything from a WordPress plugin for fifty bucks, which I don’t necessarily recommend, I think there’s a lot of updates that go into WordPress that maybe a lot of the developers for these little plugins aren’t keeping up with ’cause they’re not incentivized. The main things are, the first thing you want to do, is you want to make sure that you’re hard wired into your router, so get an ethernet chord, make sure you’re plugged in, you don’t want to be on wifi at Starbucks hosting your webinar. ‘Cause you know, there’s going to be a choppy signal, and it’s just not going to be too effective. Especially if you’re using something like a Google Hangouts based platform like Webinar Jam, which is what I use, Easy Webinar is still on some of those platforms, you’re going to want to be hard-wired into a router so you can even out the bandwidth a little bit, make sure you close down all your browsers, and anything like Skype or Facebook, anything that resyncs a lot because that will steal your computer’s abilities a little bit, and some of the juice in your computer. So make sure that’s all cleared and you’re hardwired. As far as tools, software, the main thing is your budget usually. Like I said, you can get plugins, you can get something kind of middle of the road like Webinar Jam or Easy Webinar, or there are some higher end products that don’t run on Google Hangouts like GoTo Webinar, Webinar Ninja, Stealth Seminars, all these others that you’ll pay a little more for, but you’ll have your own private stream instead of piggybacking on Google Hangouts. There’s less of a lag and those types of things. Other than that, I have a webcam, a microphone, I have the AudioTechnica ATR 2100, it’s about sixty bucks, a Logitech C920 webcam, some simple lights that I have up here, an ethernet chord, and that’s about it. For slides, you can use Google Slides, which is in Google Drive, that’s what I usually use, ’cause it’s free. Or you can use Powerpoint, Keynote, Canva, anything like that for your slides. And another piece you might want to consider is your email autoresponder, like your MailChimp, your AWeber, or your InfusionSoft. I use ActiveCampaign for mine. Make sure those integrate with your software, so like sometimes people will buy a piece of software, and it doesn’t talk to another one very well, and you’re like, oh no, this doesn’t work very well. So you want to think about that when you’re buying your tools. Make sure you do a little research. And then, how can you take payment? PayPal is what I started with, you can take a PayPal link and just put it into your webinar software. I use SamCart now for taking payment, through PayPal and Stripe. And that’s a list of tools I guess. Super cool. And yeah, I think now like you said, in this day and age, webinars are so popular, that it doesn’t have to be something that’s super expensive to get started with, and once you invest in it, you might be able to make your money back with one webinar. Yeah. Yeah, you can. And you don’t need all of those tools, I would just get basic Google Slides, and some basic software. Google Hangouts based softwares are usually cheaper. And they can be maybe a few hundred bucks a year maybe for that. And that’s really all you need. Everything is more or less free. So what would you say are the three biggest mistakes you see people make when getting started with webinars? I think the first one is not practicing. They buy their software, and they already have their webinar planned a week later, and they have no idea how to put one together. They’ve never practiced the software and they just go in and try to start it and something doesn’t work, and they blame the software, because they just didn’t really plan for it. So that’s what I hear about sometimes if I pop into a Facebook group or something and people are complaining about it. That’s often the case, is they didn’t test everything. They say eighty percent of success is showing up, well I think it’s eighty percent is showing up prepared. We don’t prepare sometimes. And practice. I think that’s one of the secrets, I practice. I still test everything, and I’ve done over two hundred webinars, and I still test everything. So that’s a big one. I think from a sales perspective so to speak, I think one of the mistakes people make is they really have the wrong content, the wrong offer, and then they have a really poor follow-up or they just don’t have a follow-up at all. About seventy percent of your sales on a webinar is going to come from the follow-up, not on the webinar. The webinar is usually just the first point of visibility on a particular offer. You’ll get sales on that webinar hopefully if you’ve positioned it correctly, but a lot of it will come behind the webinar through follow-up process. And I can go into that, break those down deeper. I know one of your questions was about success factors on webinars. I’d be happy to go deeper on those when that point comes. Alright, let’s go ahead and transition there, because what I like about this is, it’s a great tactic, but you have to have all your dots connected. So yeah, let’s go ahead and talk about some of those success factors, that helps people do well and helps them get results that they can be pleased with. Yeah, and I liked how you said tactic. Because that’s true, a webinar is a tactic. In marketing, it’s always strategy over tactics. And so, even though I teach webinars and do webinars, you’re not going to do well if you don’t have a good strategy. Webinars are not a magic pill. They are a very effective online tool, and I would recommend it for almost anybody to use it because it is so effective because it touches on that know, like, and trust piece so much more than other mediums. But you still have to have your strategy in place. And so I think one of the biggest mistakes people make when they are planning a webinar, is that they don’t begin with the end in mind. Like. let’s say you’re selling a five-module course on your webinar, and you want to sell this course. Most people will start at the beginning and say ‘hey, what kind of webinar topic could I come up with to teach?’. And as you said, there’s a disconnect there. So you would start with the end in mind, it’s what I call the pain, product, profit sequence, where you go from what is my offer, and where do I want to take people, and let’s say it’s that five module course. Now if there are five modules in that course, well what are the five main pains that those modules solve for that intended audience? Ok cool. Now let’s take those five pains, and let’s create maybe lighter versions, maybe five key teaching points for the webinar that are directly in line with that offer, that are maybe lighter versions of that. So that the content and the offer line up very well. They are very congruent. And then from there, you can make your headline based on the content. You work backwards from product to content to headline, instead of headline to content, to instead of trying to put your offer at the end of it. That messes people up sometimes. One of the keys to success on a sales webinar, this is a big mistake that people make, is that they over teach, and they just teach the how, and there’s no incentive for any other action after the webinar. There is a difference between a sales webinar and a teaching webinar. Here’s the thing, the goal of the webinar and your follow-up is to break objections and myths that your attendees have in their heads that would stop them, one, from doing what you’re teaching, but two, buying your product and service. Your content, your offer section, your follow-up, needs to address those frequently asked questions. You need to understand the questions that your audience is asking, and you need to address those in your content. So like, for me for instance, one of the objection questions I could have on my content, I always start my content with a question. It could be that you need a bunch of expensive tools to host webinars. And I’ll literally have that on a slide and I’ll say “how many people have this objection?” And then I’ll even use a multiple choice quiz or something like that to engage people. And then I’ll teach against that point, and I’m breaking that question, and I’m giving them lots of great information, and I’m showing them, ‘look, you can just use this microphone, you can just use this,’ just like we talked about here a bit. And I’ll go through and break three or five of those key objections that are stopping people from hosting webinars. That’s my content. That’s my content. It’s teaching but in the context of breaking myths and objections that will stop people from buying your offer. And that’s a big point that most people don’t do. They just say ‘step one is this, step two is…,’ and they just teach and teach and teach, and in the end they just say ‘hey if you want this, here’s the offer,” and that doesn’t work well. And then finally, the follow-up. You’ve got to follow-up. Most people if I’m looking at their webinar and coaching them on it, they just don’t have a good follow-up. They don’t answer the questions in people’s heads, and they don’t have a well set-up follow-up system, and that’s really key. Got it, got it. I think it’s easy if let’s say someone has to drop off at the last minute and they didn’t get the link to be able to go and find out more information, it could just be simple little things like that, or reminding them of all the different things they need to learn, or the value that the offer can bring, so yeah. Follow-up is everything in most instances. Yeah, yeah. It is. It makes all the difference. It makes a big difference. What are your thoughts on how someone should be integrating webinars into their overall content strategy? Because that could be the primary tactic, but what are your thoughts on where you’ve seen it work the best? Yeah, that’s a great question. I think about this a lot. You can use webinars on the front end so to speak of your customer process to attract new colder people to you, that is a place for it. But I see it working the best in the middle of the process. Maybe you’re using other means to bring in colder people, like maybe you have a free guide on your website and you’re driving traffic to that. And then people download your free guide and there’s an indoctrination sequence you send out to them that walks them through that guide. And build rapport. From there, you can send them into a little warmer email stream where you can then get them on a webinar. And they are already pre-framed or already thinking you’re an expert because they’ve already experienced you. It’s a lot. One of the reasons why people fail with Facebook ads to webinars, is well they don’t have a tested process in place. It doesn’t matter if you get traffic to something, you’re wasting that traffic if you don’t have an effective back-end or process there. But it’s a hard ask. If I came up to you Sonia on the sidewalk, and you didn’t know who I was, and I was like ‘hey, how you doing? Do you want to go to a two-hour workshop with me today?,’ you’d probably think I was crazy, you know. And so I think that same process needs to be thought about in our online marketing. It’s what are we asking for? And so, to ask someone who doesn’t know who the hell you are at all to come to a webinar, there will be some that will do that. Like if I did that to enough people, there would probably be someone who would come with me. But you’re going to pay more money to get someone there. And they don’t know you, your sales rates are going to be worse, your show-up rate is going to be worse. A webinar, even though you can do it without a product, or a funnel, and I recommend you do that as well, it works the best in the middle, after someone is willing to give you a couple hours of their time. No, that’s a great way to think about it. It goes back to what we’ve been talking about before, webinars are a tactic in your overall strategy. So if you know more abou the journey that you’re trying to take somebody on, you can figure out the right point to put those webinars in to help move them along. And you can use them on the front end. I don’t want to discourage newbies who don’t have that. I used them initially, literally I had a list of zero in my new industry, and I did two free webinars and I got permission to post them in a couple of Facebook groups, and I think I built my list from zero to about 132 people in like five weeks. And then I turned around and literally like a week later hosted a sales webinar for those people. I had thirty people show up live, but I sold ten spots of a program of those thirty people, and that’s how I got started with our old brand, Hangouts the Convert. And we then took that to partners, and partners, and other partners that I had known and it just started growing. And that’s how I started online. I have one other question here. Is there a certain type of business where webinars work better for? Does it have to be an online business? Or can it be a business, like lets say, would a webinar work for a photography business or an other offline types of businesses? Yeah, that’s a good question. I have the most experience working with online businesses. I do work with offline businesses, and we do use webinars sometimes. I think it would work best, I think it could work for a lot of different types of businesses, but I think it would work best for online businesses, like softwares, or B(usiness) to C(ustomer) type businesses, I think is a little easier to get people on there. But like a software company that wants their consumers to buy their products, they could screen share the software, and show them what they do and at the end they have a call to action to buy the software. A homerun for software companies. If you’re selling a course or a coaching package, you can use it if you’re an offline business is go from webinar, to like an application to getting somebody on the phone, in like a larger ticket package. Like I have clients that are lawyers that want to share their programs, they’re higher ticket programs, and they’re trying to get people to the webinar, and then they’ll teach what this program can do, and there’s an application with a call to action to get on the phone with them and things like that. I’ve also head of dentists using automated webinars, I haven’t done this personally with a client. But dentists, doing thirty minute presentations, and sending ad traffic within a twenty or thirty mile radius of their clinic, filling up their automated webinar and teaching and having a call-to-action for the office and taking them up on a discounted offer on the back end of a webinar. So you can get creative with it, it can work. I think it works a little better, in my current experience with it, B to C, online, but it can be used in other mediums as well. Just one quick follow-up there. An automated webinar, is that a webinar that is not live, where whenever people sign-up, they are going through a pre-recorded one? Yeah, yeah. An automated webinar is a recorded webinar that people can sign-up for, usually they have a little bit more flexible time that works for them. Automated webinars generally have the benefit of a better show-up rate, because generally people pick their own time, and some of them have just-in-time function, so that if someone hits the page, they have one going every fifteen minutes, so people watch it there. That one usually has an eighty percent show-up rate, very high. There’s some benefits to that as well. Super cool. Aww, this is fascinating, I love it, I love it. I want to add this into my overall strategy as well, so we’ll be talking. I think we’ve covered it all. Any parting words of wisdom for entrepreneurs who are thinking about adding webinars as a part of their overall content marketing lead generation strategy? Yeah, parting words. And I hate to say it, but part of it is just going out and practicing and doing it. Statistics show that as an online medium, webinars are one of the most effective mediums. I would highly consider putting it in your repoitoire, because it makes sense. People get to experience you, and you feel like you get to know that person on a whole other level, and that’s why webinars work so well is that know, like, and trust factor. I would take steps toward doing it. Does it happen as quickly as writing a blog post the first time? You know, it does take some work to put together an effective webinar campaign, and coming up with a strategy. You will have times in the beginning when you don’t do well, or quote unquote fail or you don’t have a big audience and those type of things. So don’t think it’s a magic bullet by any means, but it is an effective medium, and there is no magic bullet. There is no magic bullet, so don’t look for it. Stop buying into a lot of the hype. You just need to understand your market, have an offer for that market, and find ways to reach that market, and I think webinars are a great way to do that. So go out, gather your tools, and get started practicing with a couple of friends so you get the feel and the flow of the software down, and then go out and start doing that. You could do one every two weeks. I started once a week for over a year, I did a webinar a week live for over a year, every one of them. I was scared to death when I started. I didn’t know what I was doing. There was no software back then either, it ws just GoToWebinar, that was it. Or these big commercial grade ones that were really expensive. It’s changed a lot. It’s gotten a lot cheaper and it’s only going to get easier. The softwares we have now are like kids play, compared to where it’s going. Now’s the time to jump on and get visible. We’re going to have a whole lot more people coming online within the next five years from all over the world, with all these AI (artificial intelligence) software programs that are going to be translating your words or our words right now into their language automatically, and all this software, it’s really going to bring people, you’re going to have the opportunity to influence and impact people all over the world. I think whatever it morphs into, a webinar and livestream may morph a little bit. But whatever virtual presenting, I like to call it virtual presenting, I think it’s a good time to start honing your skills as a virtual presenter if you’re looking to reach more people around the world. Definitely. I’m super excited about this. Thank you so much Jon, this has been fantastic. Great, very good information!!! and delivered in a simple friendly way! Many thanks to Jon for it! !